Take out the Spinach at least 30 minutes before and boil it will with 1 cup water. Cool down the Spinach and then mix in Blender till it is smooth paste. Heat Oil in a non stick pan and add cumin. Cool down the mixture and mix it in blender for 1-2 pulse, so that it is mixed well..
Now add 1 teaspoon oil in that non stick pan again and add the mixture back again. 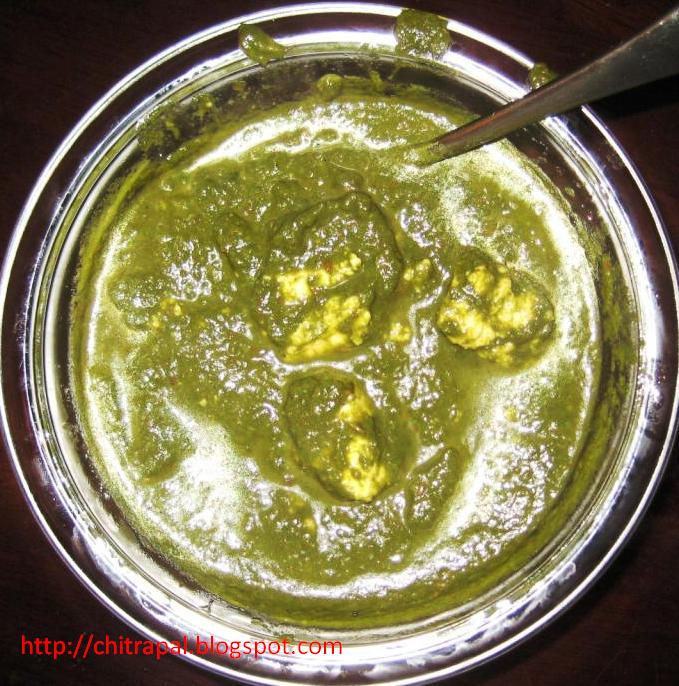 When the Spinach is cooked add Paneer cubes and serve. Serve hot with Maki ki Rotti, Roti, or White boiled Rice.